For decades, Saudi Arabia has poured billions of its oil dollars into sympathetic Islamic organizations around the world, quietly practicing checkbook diplomacy to advance its agenda. But a trove of thousands of Saudi documents recently released by WikiLeaks reveals in surprising detail how the government’s goal in recent years was not just to spread its strict version of Sunni Islam — though that was a priority — but also to undermine its primary adversary: Shiite Iran. 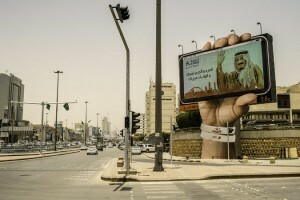 The documents from Saudi Arabia’s Foreign Ministry illustrate a near obsession with Iran, with diplomats in Africa, Asia and Europe monitoring Iranian activities in minute detail and top government agencies plotting moves to limit the spread of Shiite Islam. The scope of this global oil-funded operation helps explain the kingdom’s alarm at the deal reached on Tuesday between world powers and Iran over its nuclear program. Saudi leaders worry that relief from sanctions will give Iran more money to strengthen its militant proxies. But the documents reveal a depth of competition that is far more comprehensive, with deep roots in the religious ideologies that underpin the two nations. While the documents do not show any Saudi support for militant activity, critics argue that the kingdom’s campaign against Shiites — and its promotion of a strict form of Islam — has eroded pluralism in the Muslim world and added to the tensions fueling conflicts in Iraq, Syria, Yemen and elsewhere. The Saudi government has made no secret of its international religious mission, nor of its enmity toward Iran. But it has found the leaks deeply embarrassing and has told its citizens that spreading them is a crime.